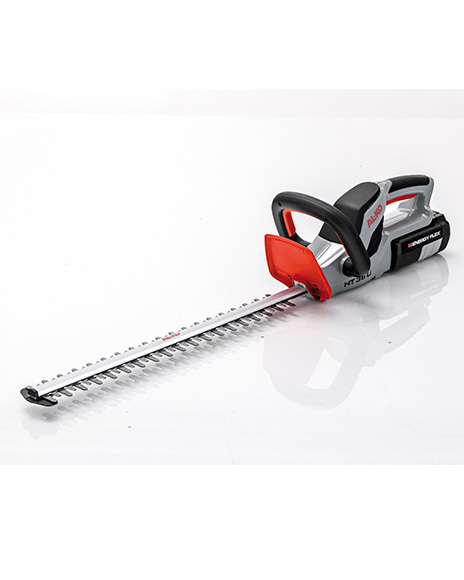 The AL-KO HT 36 Li cordless hedgetrimmer is lightweight and its ergonomically shaped controls make it comfortable to use and froms a part of the Engergy Flex range which all operate with the same battery. No strain on arms and allows you the freedom to use anywhere. Optimum balance and ergonomics for comfortable working in any position. Powered by a powerful 36 V / 4.0 Ah Li-ion battery which can be used with all other items in the energy flex range. Not included with the GT36 Li, HT36 Li, LB 36 Li.